We recently had the opportunity to talk to Travis Eliot, a respected yoga and mindfulness meditation instructor, about the most profound awakenings throughout his life and how they always led him back to Yoga. We discussed the importance of a holistic approach to practice, going inward, ‘Cadillac Escalade Yoga’, and how he makes his retreats so transformational. He and his partner Lauren Eckstrom will be leading their Holistic Yoga Flow Retreat at the Art of Living Retreat Center August 16-19. 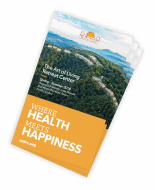 I can’t wait for our retreat at Art of Living in Boone because North Carolina holds a very special place in my heart. I grew up in Winston-Salem and my fondest memories are of playing in the mountains. This will be our first retreat here. When I first left North Carolina for Los Angeles, I spent quite a while working in the entertainment industry. But, as soon as I discovered yoga, I was head over heels. I became a ferocious student of all things yoga and meditation from kirtan to Ayurvedic medicine; you name it. These things became my life. Fast forward to a near-drowning experience in Kauai that changed my life even more. This experience opened my eyes to the fragility of life and led me to re-examine everything. Being awakened to my own impermanence, I was able to see where I was wasting energy and effort on things that don’t truly matter. I began to invest time and energy into things that are important, meaningful, eternal, infinite – the things which yoga brings us back to. Soon after, I found myself on the beautiful island of Kolata in Thailand teaching yoga. I felt I was using every dimension of my being to teach these yoga classes. That’s when I knew without a doubt that this was my path. Then, in 2005, I was reminded of my mortality again when the big tsunami hit. As I watched my bungalow, the yoga deck, the whole resort get washed away by the tsunami waves, I was overcome with gratitude for the many gifts in my life: my marriage, my breath, my meaningful relationships. After that I returned to Los Angeles and single-mindedly began to teach yoga to as many people as possible. Living through the tsunami also taught me that this experience we signed up for, this crazy ride that is the human life, involves duality. It is impossible to have birth without death. You can’t have paradise without destruction, and you can’t have loss without gain, praise without blame, victory without defeat, health without sickness, female without male, or Shiva without Shakti… you could just go on and on. The tendency that we often have is to only want the good and pleasurable experiences in life. We just want the positive, but that is not and will never be the human experience. As long as we remain in denial of that, we are fighting against nature. It’s as though we’re swimming upstream. In this way, we cause our own suffering. For me, it became about really working on clear sight and fully accepting that we live in this world of duality. I learned not to cling to the good, and I learned not to push away the challenging or the negative. So, I began to maintain more equanimity in my mind through the vicissitudes of life. Rather than being on this crazy roller coaster going up and down and up down, it became a little bit more steady. When I hit the speed bumps of life, instead of being in an old 1960s beat up Ford Pinto that’s getting all jerked around, now I’m driving a plush Cadillac Escalade. That’s what it’s like- you still have to go over the bump, but it’s a lot less jolting. Equate that to life and you get less drama, less conflict, less reactivity, and more smoothness, so that you’re able to deal with the challenges and curveballs that the universe throws at you with more grace, nobility, and equanimity. My yoga journey illuminated another life-changing lesson. I think that our culture has taught us that we’re not good enough unless we buy products and consume more. There’s a whole multi-billion dollar industry built around this concept of telling us we’re not good enough and that in order to become enough, we need to get things. We become ensnared within this web of what the yogis call Maya, this illusion that we can only get our happiness from external sources. The great awakening of my life was that this is not true. It’s like a cat chasing its tail, or trying to cling to a phantom or ghost. Some people spend the entirety of their lives in this way, never actually attaining anything. A great example is actually an animal, the Musk deer. From the day it’s born, it smells this scent that it is very drawn to. It will spend its whole life chasing the scent through forests and meadows, through mountains; then eventually it dies, never having found the source of the scent. The deer could never locate the scent because that whole time, it was coming right from underneath the deer’s nose. This was my awakening. I realized that ‘the scent’ is not out there, but rather inside us all. Through the practices of yoga we learn to go inward rather than out. As we do so, we learn that everything we could possibly want doesn’t exist externally; it doesn’t come from things in the physical world. What we seek by consuming things actually already exists inside us all. All the happiness, wisdom, joy, abundance, knowledge… it’s all inside of us. That being said, I believe a good teacher is one who directs students to connect inward to the resources that exist within them. That’s what was so life-changing about yoga, on the deepest level, for myself. It’s so, so important to step back from life and take time for yourself, and a retreat setting provides the perfect opportunity. The greatest teachers to ever walk this planet always went away into retreat; it is essential. You must remember that you can’t give to others what you don’t have to give. On a retreat you’re filling up your energetic cup, and we will be there as your guides to lead you through. While it is a learning experience, it’s also an emotionally healing one. It’s common to experience emotional release while meditating in a retreat setting. We call these releases the unfinished business of the heart. When we are able to acknowledge these emotions, we are beginning to heal some of the many griefs and traumas we have become non-reactive to as we carry them with us through life. In meditation we bring compassion to our past traumas so that we can let them go. It’s three nights and four days of allowing yourself, in a safe, loving, compassionate environment, to renew and recharge very deeply, and to let go of what has been holding you back. Something that really compliments this process at Art of Living in particular is the Ayurveda component. We will have time within the retreat itself for everyone to experience some of the ayurveda treatments at the spa if they wish to do so. There will be time to read, nap, hike, or stroll… Whatever you like to do to relax. It truly an investment into your own health and well-being. A lot of what we teach is based around the framework of subtle anatomy, or the five koshas. We are the muscles, bones, organs, tissues, cells that make up our body, but we’re also much more than that. The physical sheath is known as the annamaya kosha. Then we have the pranamaya kosha, the breath body, and the manomaya kosha of the mind and heart, which the Yogis really view as being one in the same. Next is the vijnanamaya kosha, our higher self. This kosha can be understood as the witness or observer, as though this consciousness is looking down from a bird’s-eye view. This awareness can notice thoughts as though they are moving through the sky like clouds and emotions like waves that rise and fall within the ocean of the heart. Then, there is the anandamaya kosha. The anandamaya kosha is bliss; it’s the essence of who we are. Although we all have different bodies, stories, and backgrounds, on a deep level there’s that essence within all of us that really is one and the same. In my experience, when all five koshas are activated, it’s as if you’re firing on all cylinders. This is why a holistic practice is so essential. We utilize a holistic approach which includes meditation to embody many of these concepts I’ve mentioned. It’s not just a work-out in holistic yoga flow, it’s also a ‘work-in’. So you can think of it as not just exercising, but ‘innercising’ as well. You’re strengthening your body while simultaneously strengthening mental qualities like focus, concentration, and presence, which have been proven by modern science to increase your health and happiness. You’re strengthening the qualities of the heart: generosity, compassion, kindness, love. This is what we practice in our retreats. 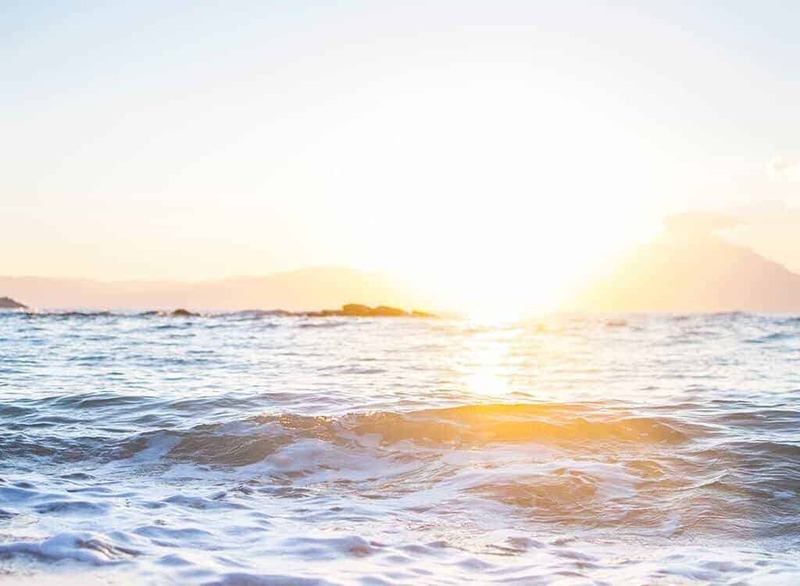 This holistic practice helps us to strengthen and awaken, and the beauty of it is that you get to take all of this and bring it back into your life. You get to bring it into every facet: your relationships, job, hobbies, and interests, and really embody the person that you want to be. The beauty of it is that you return motivated to live the life that you want to live. And that’s why we’re all here… We’re here to be the truest version of ourselves. That’s what our retreat is based on. The purpose of practicing yoga is to bring what you gain from your yoga flow into your entire life flow. That’s the thing about yoga – it’s a practice and a training. When you’re practicing meditation, you’re actively working with neuroplasticity by rewiring the neuro-branches inside your brain. This is why boredom and resistance are often experienced during meditation. When we’re facing something in life similar to the boredom, resistance, challenge, or struggle that we’ve experienced in our meditation or yoga practice, we can deal with the adversity with more dignity because we’ve now rewired our brain to do so. These practices aren’t new-age ideals; they revolve around science. People are able to deal with struggles much more calmly thanks to a strong meditation practice because it rewires the brain. Spirituality and science have been seen as two separate rivers for so long, but we are living in a truly exciting time in which these two rivers are now converging together. I think that’s why spirituality and these teachings are exploding at such an amazing rate right now. You’re not going to get everything perfect right away, and that’s okay. You’re going to mess up and make mistakes along the way. As Ramdass always says, yeah, I flunked the test many times. These great spiritual teachers, even Buddha and Jesus, had issues in their lives, and they made mistakes along the way. So, if they didn’t get it perfect, how are you going to? It takes the pressure off to realize that this practice is not about becoming a perfect human being. It’s really about perfecting your love and your compassion towards all things, including and especially yourself.